Situated Akkale bastion in the southeast of Ankara Tower, Altındag, district of Ankara, Museum of Anatolian Civilizations was built by director of culture, Mübarek Galip Bey at the request of Atatürk (Nationalist Leader of Turkish people) in 1921. 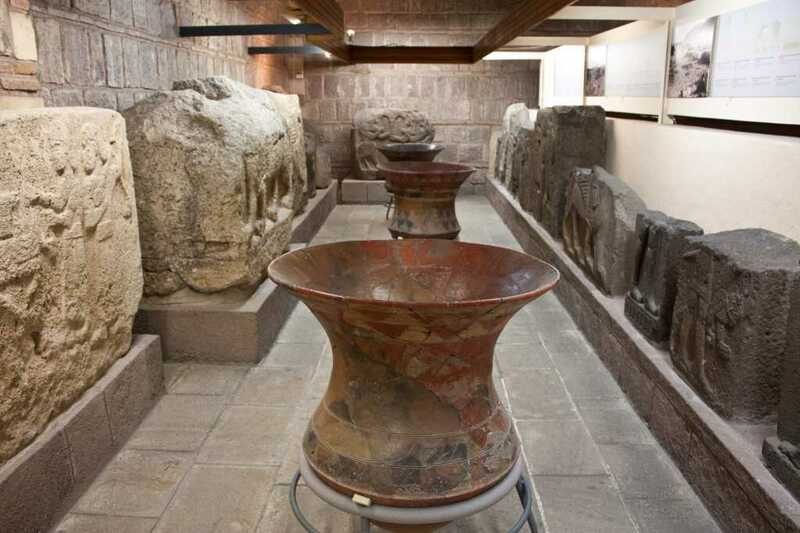 At the beginning, it was constructed as Eti (Hittite) Museum to exhibit the pieces belonging to the Hittite Period. 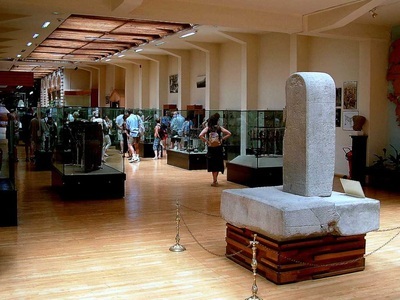 Therefore, upon the advice of Atatürk, many Hittite artefacts from the region were sent to Ankara which creates to need a larger museum. Because of that, around two old fascinating structures named as Mahmud pasha Covered Bazaar and Kursunlu Inn were renovated to be used as a museum between 1938 and 1968. 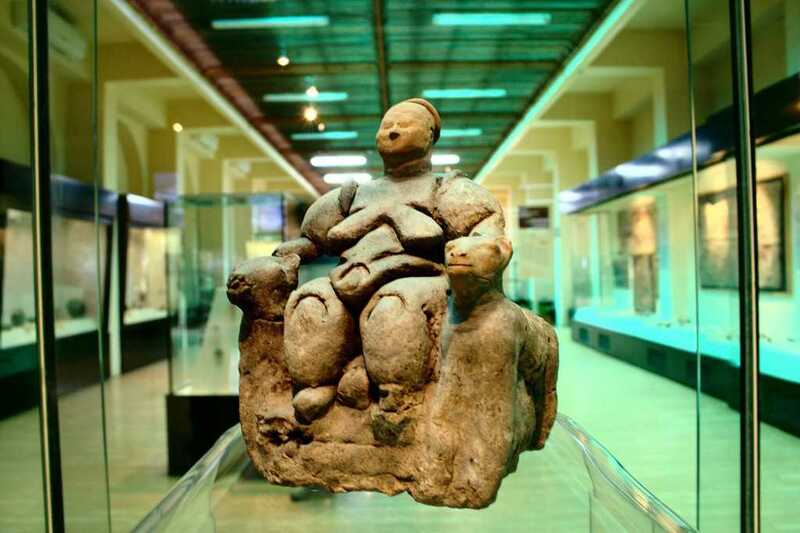 The building of Museum of Anatolian Civilizations was completed, after those charming structures were added here. 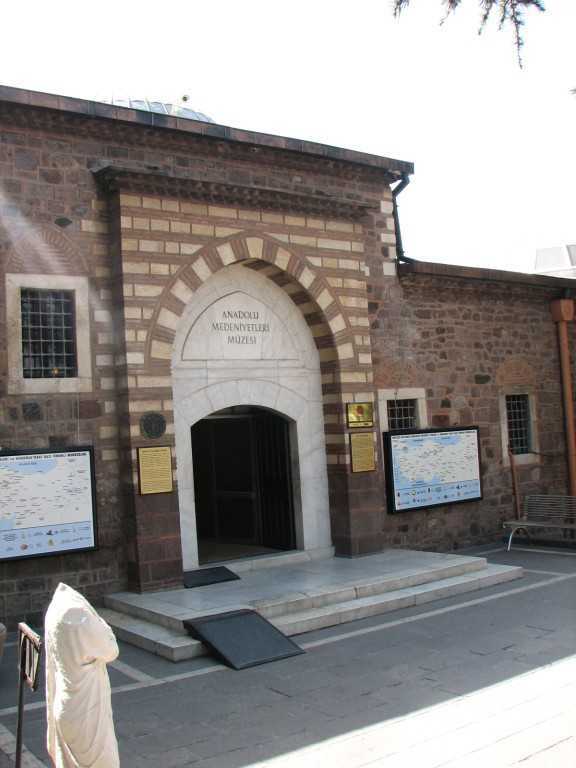 When it is looked at Mahmud pasha Bazaar, its history is very interesting: Located on the piedmont of Ankara Castle, the building was built by Mahmud Pasha who was the one of grand viziers in Fatih Sultan Mehmet, the conqueror’s period in 1471. 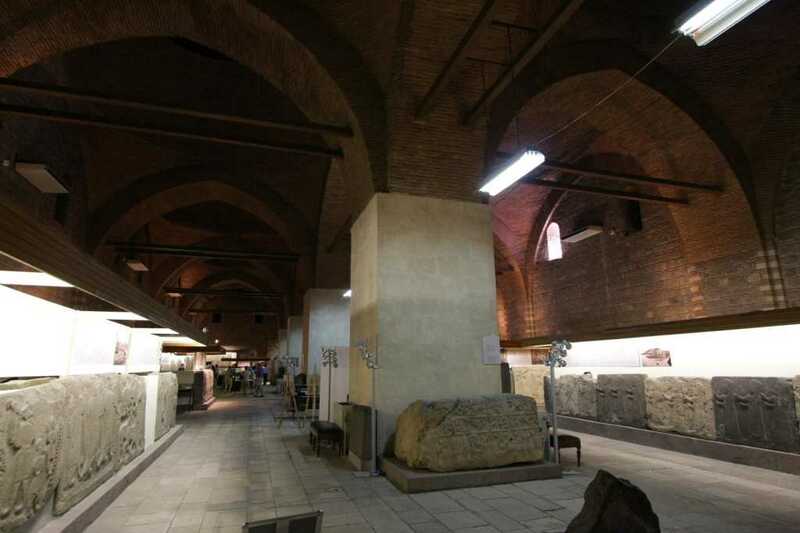 Once upon a time that bazaar was a main centre of trade in Ankara between 16th and 17th century. Especially the valuable Ankara mohair fabric was sold here. At the last of 19th century, the building lost its function. Additionally, covered with 10 magnificent domes and 102 various stores, Mahmud pasha Bazaar was damaged in a fire in 1881. The first years of proclamation of the Republic, it included shoe seller, hand-printed head scarves seller, drapers and weaver stores. Later this classic style construction was repaired and turned into a museum. The enchanting masterpiece of Museum of Anatolian Civilizations, Kursunlu Inn was built by main vizier of Ottoman Sultan Fatih, Mehmet Pasha as a foundation for hospice in Uskudar. After the renovation in 1946, it was found many coins belonging to the period of Ottoman Sultan Murat II. Reflecting Ottoman architecture, the splendid building has two-storey rooms with yards and porches. Its ground floor has 28 rooms with furnace. It was surrogated by many breath-taking shops. Today, used as administrative building, Kursunlu Inn contains researcher rooms, library, conference hall, ateliers and laboratory. After the rebuilding, ıt was converted into a museum. 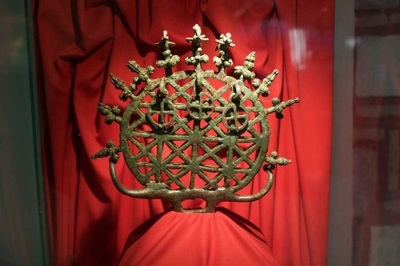 Established in Ankara which is the capital of Turkey, the Museum of Anatolian Civilizations was awarded the European Museum of the Year in 1997 Lausanne, city of Switzerland by being chosen from among 68 museums. Composing of unique masterpieces belonging to the civilizations of Anatolia, the collection is number one of its kind in the world. 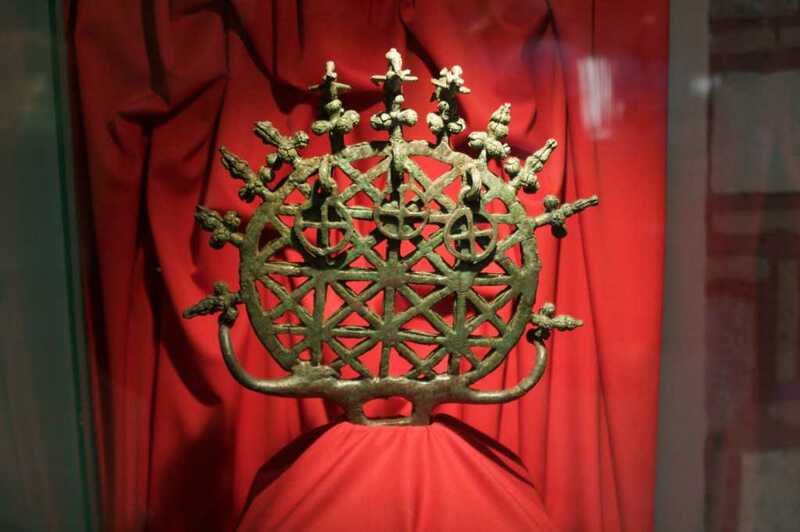 The priceless collection preserves the heritage of civilizations ranging from the Palaeolithic era and the prehistoric times containing Assyrian, Hittite, and the kingdoms of Phrygia and Urartu. It also has a special part on Ankara. The main unique examples of those pieces are Goddess Kybele Relievo symbolizing fertility and abundance, the sculpture of Kubaba (main goddess belonging to the Palaeolithic period), the sculpture of Dionysus (god of wine), Acemhöyük Box made of stone, Storm God and bulls ‘ statue of Hittites, Bronze Inscription and the statue of Hittite Sphinx.